NORTH PHOENIX HIGH SCHOOL CLASS OF 68, 50TH REUNION UPDATE: We now are accepting Credit & Debit Cards or use of a PayPal Account for payment of Registration Fees. Visit our class website http://www. *****/****click on the Reunion Registration Tab, Scroll to the bottom of the page & locate the Gold Add to Cart button. Click on the drop down button and select the Reunion Event option you want then click the Gold Add to Cart button. You will be taken to two PayPal sites to complete the verification & processing of payment. Our reunion is also open to the class of 67 & 69 so please join us to make this the greatest 50th Class Reunion Ever. More 1968 alumni from North HS Phoenix, AZ have posted profiles on Classmates.com®. Click here to register for free at Classmates.com® and view other 1968 alumni. 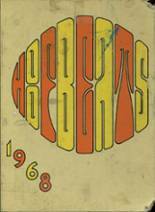 The students that went to school at the Phoenix high school called North High School and graduated in '68 are on this page. Register to add your name to the class of 1968 graduates list.